Why spend your time doing the mundane tasks of invoicing and billing your customers? BBS can take care of this for you at a lower cost and also allows you to focus on more important business matters. It is true that making the decision to let others be involved with communications to your customers can be daunting. But with BBS, you can have the confidence of knowing that you have a provider that meets your high customer satisfaction requirements. We can meet any challenge and exceed your expectations. We provide statements, invoicing, and billing services, plus electronic delivery of all required documents. BBS clearly understands that every company’s needs are unique when it comes to billing customers and that most problems are caused well before the invoice is sent. BBS prevents downstream customer issues by instilling controls and appropriate procedures at the beginning of the billing process. BBS provides a simple flexible approval process for expenses and appropriate tracking and milestones to ensure that the right people are involved from the very beginning. This substantially reduces the need for any rework, reduces rejected invoices and eliminates month end fire-drills. We provide the mechanism that allows your company to put everything (expenses, milestones, etc.) on one combined billing or to break each item out based on your unique requirements. BBS allows you or your operations team to do a final check on the billing or you can delegate it completely to us. In either case, BBS offers a customized and streamlined invoice and billing process. 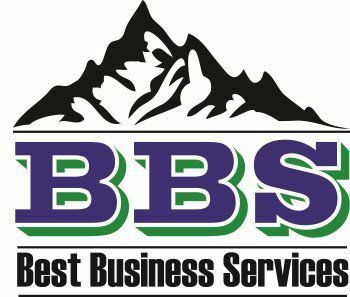 We know that you are extremely busy with the multitude of tasks it takes to be successful, so BBS has developed a unique and simple process to get setup and running with our low cost and easy to master invoicing and billing service. Invoicing and billing data is clearly viewable for each project.